A total of 293 cases of haemorrhagic fever were reported in the region, of which 258 confirmed and 35 probable. Of the 258 confirmed, 147 died and 81 are cured . The others are hospitalized in the different Ebola Treatment Centers (ETCs) installed. 50 suspected cases under investigation. 6 new confirmed cases, including 3 in Beni and 3 in Butembo. 1 new case death confirmed in Butembo. A total of 298 cases of haemorrhagic fever were reported in the region, 263 confirmed and 35 probable. Of the 263 confirmed, 151 died and 81 are cured . The others are hospitalized in the different Ebola Treatment Centers (ETCs) installed. 46 suspected cases under investigation. 5 new confirmed cases, including 2 in Beni, 2 in Mabalako and 1 in Butembo. The two new confirmed cases of Mabalako are a young girl residing in Beni and her 2-week-old newborn. They were transferred to the Mabalako CTE at the request of the family. 4 new deaths of confirmed cases, including 3 in Beni and 1 in Butembo. A total of 300 cases of haemorrhagic fever were reported in the region, 265 confirmed and 35 probable. Of the 265 confirmed, 151 died and 88 are cured . The others are hospitalized in the different Ebola Treatment Centers (ETCs) installed. 41 suspected cases under investigation. 2 new confirmed cases, including 1 in Beni and 1 in Kalunguta. No new confirmed case deaths reported this day. 7 new cures in Beni. A total of 305 cases of haemorrhagic fever were reported in the region, including 270 confirmed and 35 probable. Of the 270 confirmed, 154 died and 88 are cured . The others are hospitalized in the different Ebola Treatment Centers (ETCs) installed. 60 suspected cases under investigation. 5 new confirmed cases, including 1 in Beni, 1 in Butembo and 3 in Kalunguta. 3 new deaths of confirmed cases, including 1 in Beni, 1 in Butembo and 1 in Mabalako. Several cases of Ebola have been identified in a Mayi-Mayi village in the Kalunguta health zone, located in a red zone, following the escape of a confirmed case of Beni to this village in order to escape the teams of the response. After negotiations with the village leaders, an investigative mission was organized to examine the people who are currently ill and to investigate the deaths that occurred in the village the previous weeks. This investigation will identify deaths caused by Ebola and classify them, if any, as probable cases. So far, villagers have been cooperative and vaccination has begun. Among the new confirmed cases in Kalunguta, there is a 6-day newborn baby from a confirmed case who died on November 4, 2018 at Butembo CTE. The child's mother began to show symptoms of the disease 5 days before giving birth to her son. A total of 308 cases of haemorrhagic fever were reported in the region, 273 confirmed and 35 probable. Of the 273 confirmed, 156 died and 91 are cured . The others are hospitalized in the different Ebola Treatment Centers (ETCs) installed. 39 suspected cases under investigation. 3 new confirmed cases, 2 in Beni and 1 in Vuhovi. 2 new deaths of confirmed cases, including 1 in Butembo and 1 in Vuhovi. 3 new people healed in Beni. The response teams in Beni were visited by a large delegation composed of the Minister of Health, Dr. Oly Ilunga Kalenga, the Governor of North Kivu Province, Julien Paluku, the United Nations Under-Secretary-General for peacekeeping operations, Jean-Pierre Lacroix, WHO Director-General Dr Tedros Adhanom Ghebreyesus, and the UN Special Representative in the DRC, Leila Zerrougui. The delegation began the day at the emergency operations center of the response, where National Response Coordinator Dr Ndjoloko Tambwe Bathe presented the epidemiological situation, challenges and progress of the response. The Coordinator agreed, on behalf of all stakeholders in the response, with the Merit Certificate awarded to congratulate them on the work done in this Ebola outbreak, which is the most complex epidemic in the history of Ebola. country. The delegation then went to the town hall where it met the Beni security committee to take stock of the security situation and the civil society of Beni who shared the point of view of the inhabitants of the city in relation to the Ebola outbreak and the security situation. The guests closed their visit with a meeting with Beni's sub-coordination teams and a visit to the construction site of the transit center under construction, which will house the numerous suspected cases detected every day before their transfer to the CTE in the event of a positive laboratory test. . The surveillance teams receive, on average, 100 alerts per day, of which about 30 become suspect cases to investigate, collect and isolate. The opening of the transit center will unload the 60-bed CTE which is currently filled. At the end of the visit, the Minister of Health warmly congratulated the teams that have so far managed to prevent this epidemic from turning into a real human tragedy, resulting in thousands of deaths across the country. Dr. Oly Ilunga Kalenga said he was reassured by the positive progress made since the refocusing of the response plan and the new directions taken last October. Although the number of new confirmed cases reported daily has slightly decreased in recent days, the situation remains extremely critical and it is not time to give up. On the contrary, it is during these apparent lull times that teams must redouble their efforts to identify and isolate cases still in the community and avoid a new outbreak. A team of 3 civil protection agents and 1 epidemiologist was taken hostage by a group of Mai-Mai rebels at the village of Matembo, located on the road between Beni and Butembo, while preparing a dignified and secure burial. . A community death had occurred in the village and the family had called the emergency services. Arrival at the scene, the team proceeded to the decontamination of the house, the removal of the body of the deceased and the preparation of the body for burial. It was at this point that the rebels entered the village and took the 4 agents of the riposte hostage. The alert was relayed to the security commission coordination, which then sent police to release the hostages. Fortunately, the hostages were found safe and sound. WHO Director-General Dr Tedros Adhanom Ghebreyesus and United Nations Under-Secretary-General for Peacekeeping Jean-Pierre Lacroix yesterday travelled with the Minister of Health, Dr Oly Ilunga Kalenga, to the city of Beni in eastern DRC, the epicentre of the outbreak, where they met health workers, civil society representatives, peacekeeping troops and local authorities. Mr Lacroix and Dr Tedros also met DRC Prime Minister Bruno Tshibala to share their observations and recommendations and to discuss how best to support the governments response to the outbreak. We are facing numerous complex challenges, but its encouraging and inspiring to see that our efforts to deliver as one UN have been extremely successful in many hotspots and will help to end the outbreak and save lives, said Mr Lacroix. Since the outbreak began in August, there have been 308 cases and 191 deaths, about half of which have been in Beni, a city of 800,000 people. The current outbreak is the countrys 10th and is on track to surpass the previous largest outbreak, which was in Yambuku in 1976 when there were 318 cases and 280 people died. Ebola response teams have sometimes faced difficulties on the ground, with misinformation and mistrust due to decades of conflict contributing to a reluctance with some local populations to allow Ebola response teams to vaccinate, conduct contact tracing and perform safe and dignified burials. Community engagement activities have helped address concerns and most local communities have proven supportive and are keenly aware of the dangers of Ebola and the importance of ending the outbreak. WHO has almost 280 staff in North Kivu, supporting hundreds more from the Ministry of Health and partners. Six treatment centres have been built, where 91 patients are currently being treated. The centres are operated by the Ministry of Health and partners including ALIMA, Médecins Sans Frontières and the International Medical Corps. Each treatment centre is supported by a mobile laboratory to rapidly diagnose cases and guide treatment. A total of 312 cases of haemorrhagic fever were reported in the region, 277 confirmed and 35 probable. Of the 277 confirmed, 156 have died and 91 are cured . The others are hospitalized in the different Ebola Treatment Centers (ETCs) installed. 40 suspected cases under investigation. 4 new confirmed cases, including 1 in Beni, 2 in Kalunguta and 1 in Mutwanga. Mutwanga is a new health zone affected. It is a health zone close to that of Beni. The new case is a known contact followed by a confirmed case of Beni who refused the vaccination and fled to Mutwanga before the end of his follow-up. The central office of the Mutwanga Health Zone, which had been informed of the presence of a high-risk contact in their territory, found him ill. He finally agreed to be transferred to the CTE of Beni. As the Ebola virus disease (EVD) outbreak enters the fourth month since declaration, and case numbers surpass 300, substantial progress has been achieved in all aspects of the response. Nevertheless, there remains a challenging road ahead to control intense transmission in the city of Beni and emerging hotspots in villages around Beni and Butembo. Security incidents and pockets of community resistance continue to impact civilians and frontline workers, requiring the response to continually adapt to the situation. The UN is committed to staying and supporting the Ministry of Health (MoH), and confident that the outbreak can be contained. This week, the WHO Director-General, UN Under-Secretary-General for peacekeeping, and WHO Deputy Director-General (DDG) Emergency Preparedness and Response travelled to the Democratic Republic of the Congo to review how further support can be offered to strengthen the response. Over the past week (31 October – 6 November), 29 new confirmed EVD cases were reported: 15 from Beni, seven from Butembo, four from Kalunguta, two from Mabalako, and one from Vuhovi. The two cases reported in Mabalako were a mother and her new-born child, residing and infected in Beni, but sought treatment at the Mabalako Ebola treatment centre (ETC). Three health workers from health posts in Beni and Kalunguta were among the newly infected; 28 health workers have been infected to date. Ten additional survivors were discharged from the Beni ETC and reintegrated into their communities; 88 patients have recovered to date. As of 6 November, 308 EVD cases (273 confirmed and 35 probable), including 189 deaths (154 confirmed and 35 probable)1, have been reported in eight health zones in North Kivu Province and three health zones in Ituri Province (Figure 1). While fewer cases were reported from Beni this week, new cases continue to be detected daily here and elsewhere, and delays in case detection persist; therefore, trends in weekly incidence must be interpreted cautiously (Figure 2). *Onset date unknown for five cases. Data in recent weeks are subject to delays in case confirmation and reporting, as well as ongoing data cleaning – trends during this period should be interpreted cautiously. The MoH continues to strengthen response measures, with support from WHO and partners. Priorities include coordinating the response, surveillance, contact tracing, laboratory capacity, infection prevention and control (IPC), clinical management of patients, vaccination, risk communication and community engagement, psychosocial support, safe and dignified burials (SDB), cross-border surveillance and preparedness activities in neighbouring provinces and countries. Surveillance: Demonstrated impacts are being observed following renewed efforts and improved systems by field teams to overcome challenges in case and contact detection, investigation, and data analytics. Though a large proportion of new cases reported in Beni during the past week and earlier were not listed as contact at the time of reporting, investigators have retrospectively elucidated the transmission chains for the majority of cases. Meanwhile, contact tracing continues with almost 18 000 contacts registered since the start of the outbreak, of which 5430 remain under surveillance as of 6 November.2 Follow-up rates over the past week ranged from 91-94% in total across all health areas. Vaccination: As of 31 October, 174 vaccination rings have been defined, in addition to 38 rings of health and frontline worker. To date, 27 360 eligible and consented people have been vaccinated, including 9106 health and frontline workers and 7256 children. Clinical management and IPC: Activities are ongoing in both clinical management and IPC and are supported by several partners in the field. Almost all newly confirmed patients admitted to ETCs receive therapeutics. There remain ongoing challenges with delayed recognition of cases and referral to ETCs, which are often occurring only after a patient has visited a number of health facilities. Some patients die before reaching ETCs or shortly after arrival due to late presentation in illness course. In rare instances, therapeutics may need to be withheld due to a very poor prognosis. Several IPC activities such as decontamination of health care facilities and households, and IPC trainings are ongoing. Breaches in various aspects of IPC practices remain an important reason for continuing transmission. Several activities are ongoing in the field to address these concerns. Risk communication, community engagement, and social mobilization: Priorities are regularly reviewed to address the evolving challenges and needs. In addition to continuing the focus on community ownership, the work will centre around prevention of the virus infection in formal and information health care facilities and in supporting community surveillance. Feedback to concerns raised by the community through door-to-door visits, focused group discussions and knowledge, attitudes and practices (KAP) surveys are being systematically collected and addressed. This week, advocacy meetings are held with local pharmacies in Butembo, with traditional healer in Butsili and follow-up discussions on Ebola sensitization are held with community leaders and women’s groups in Beni. Community dialogue sessions were also held in Katwa. Safe and dignified burial (SDB): Capacity is provided both by Red Cross (RC) and Civil Protection (CP) teams. As of 7 November, a total of 458 SDB alerts were received, of which 389 (85%) were responded to successfully. The number of alerts of community deaths is fewer than expected, especially in Butembo and Beni; suggesting underreporting of community deaths. Harm Reduction approach to manage burials in areas non-accessible by SDB teams, as well as implementation of Rapid Diagnostic Test (RDT) for deceased, are being reviewed. There is a continuous need to sensitise communities, opinion leaders and authorities (e.g. police and military) on SDB to mitigate resistance. Point of Entry (PoE): As of 6 November, health screening has been established at 67 PoEs. Over 13.2 million travellers have been screened, over 17 500 means of transport have been decontaminated and 100 alerts have been notified (19 were validated and one was confirmed for EVD). Out of 13.8 million travellers who passed through these POEs, 91% washed hands and 83% were sensitized about EVD. A workshop to revise operation procedures for PoE activities is planned for 12-14 November. Preparedness and operational readiness: Ministry of Health deployed 56 preparedness officers (43 national government experts and 13 WHO consultants) this week to ten high risk provinces around North Kivu to scale up operational readiness capacities and rapid response teams for IPC, risk communications, surveillance, points of entry screening, and coordination. Operational readiness actions continue to be strengthened in the nine neighbouring countries, with enhanced efforts in Uganda, South Sudan, Rwanda and Burundi. The implementation of the contingency plans for EVD readiness are underway in collaboration with partners. Twelve experts were deployed in South Sudan to enhance the efforts of readiness in Nimule, Yei and Yambio. “We are absolutely concerned about the ongoing outbreak in the Democratic Republic of Congo,” the senior USAID official, who is working with response teams, told Reuters. A total of 319 cases of haemorrhagic fever were reported in the region, of which 284 confirmed and 35 probable. Of the 284 confirmed, 163 died and 97 are cured . The others are hospitalized in the different Ebola Treatment Centers (ETCs) installed. 52 suspected cases under investigation. 7 new confirmed cases, including 3 in Beni, 2 in Butembo, 1 in Kyondo and 1 in Vuhovi. A new confirmed case has been identified in a new Kyondo Health Zone, located next to Butembo Health Zone. The investigations are in progress. 7 new deaths of confirmed cases, including 3 in Beni, 2 in Butembo, 1 in Kyondo and 1 in Mutwanga. 6 new people healed, including 5 in Beni and 1 in Butembo. On Friday, November 9, 2018, the Ebola Virus Disease epidemic in the provinces of North Kivu and Ituri just exceeded that of the first epidemic recorded in 1976 in Yambuku. the province of Ecuador. To date, 319 cases and 233 deaths have been recorded. Since the beginning of the epidemic, the cumulative number of cases is 326, of which 291 confirmed and 35 probable. In total, there were 201 deaths (166 confirmed and 35 probable). Of the 291 confirmed, 166 died and 98 are cured . The others are hospitalized in the different Ebola Treatment Centers (ETCs) installed. 47 suspected cases under investigation. 7 new confirmed cases, including 4 in Beni, 2 in Kalunguta and 1 in Musienene. 3 new deaths of confirmed cases, including 2 in Beni (including 1 postponed from 8 November) and 1 in Musienene. 1 new person healed in Butembo. The news fell like a bitter pill in the ears of thousands of Ruwenzori residents who had not yet heard of Ebola in their area. The first case to be reported in the Mutwanga health zone makes it obvious that the threat of the virus is not to be overlooked, since the Mutwanga health zone touches neighboring Uganda by Kasindi post-border. Kasindi fears, not only for his health, but also for his economy. This is the cry of the local committee to fight against epidemics that calls the team response to the Ebola virus disease to focus its attention on this situation. Kasindi fears that Uganda will close its borders with the DRC once the disease is declared in this commune. Since the beginning of the epidemic, the cumulative number of cases is 329, of which 294 confirmed and 35 probable. In total, there were 205 deaths (170 confirmed and 35 probable). 38 suspected cases under investigation. 3 new confirmed cases, including 2 in Beni and 1 in Kyondo. To avoid that the total number of cases varies (up or down) daily, the suspect cases have been placed in a separate category. Thus, suspect cases with positive laboratory tests will be added to the confirmed category, while negative ones (non-cases) will be removed from the table. The category of probable cases includes all reported deaths for which it was not possible to obtain biological samples for laboratory confirmation. The investigations will determine whether these deaths are related to the epidemic or not. A community death is a death in the community, outside of a licensed health center. At the ninth Ebola outbreak in Equateur Province, the Ministry of Health launched an Ebola survivors follow-up program to provide clinical, biological and psychosocial follow-up for people who have recovered from Ebola. . 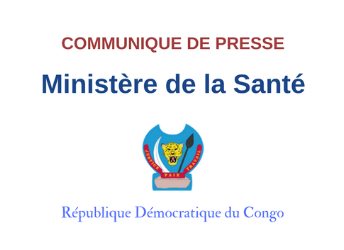 The Minister of Health, Dr. Oly Ilunga Kalenga, also initiated the establishment of the National Association of Ebola Winners to bring together all survivors in the Democratic Republic of Congo. The national coordinator of the program and association is Dr. Richard Kitenge. Survivors' monitoring centers will be set up in Beni, Butembo and Mangina. The Ministry of Health gives priority to local health personnel in all areas of the program to build local capacity. The survivor monitoring program teams are reviewing the database of all survivors since the start of this tenth outbreak. The Ministry of Health will resume sharing survivor data as soon as this cleanup of the database is complete. Since the start of vaccination on August 8, 2018, 28,727 people have been vaccinated , including 14,966 in Beni, 4,544 in Mabalako, 2,152 in Katwa, 1,663 in Mandima, 1,435 in Butembo, 1,237 in Kalunguta, 732 in Masereka, 434 in Bunia, 355 in Tchomia, 293 in Vuhovi, 258 in Mutwanga, 240 in Komanda, 178 in Oicha, 160 in Musienene and 80 in Kyondo. New measures to overcome obstacles in responding to the Ebola virus disease (EVD) outbreak in the Democratic Republic of the Congo are having a positive impact. The Ministry of Health (MoH), WHO and partners continue to be confident that, despite challenges, the outbreak can be contained. Over the past week (7 – 13 November), transmission continued in several areas of North Kivu Province, while a geographical expansion of the outbreak to two new health zones (Kyondo and Mutwanga) was observed (Figure 1). The first cases reported from these health zones were exposed through contact with cases in Butembo and Beni, respectively. During the reporting period, 31 new confirmed EVD cases were reported from Beni, Mutwanga, Kalunguta, Butembo, Vuhovi, Kyondo and Musienene. Four of the new cases were newborn babies and infants aged less than two years, three were children aged between 2 – 17 years and three were women who were pregnant or breastfeeding. 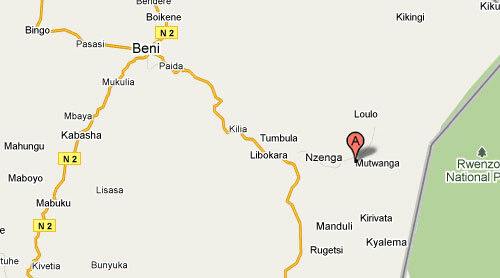 Three health workers from Beni and Butembo were among the newly infected; 31 health workers have been infected to date. Twelve additional survivors were discharged from Beni (nine), Butembo (two) and Mabalako (one) Ebola treatment centres (ETCs) and reintegrated into their communities; 103 patients have recovered to date. During the past week, a review and reconciliation of case records was conducted. This review resulted in the addition of 14 probable cases, invalidation of 11 past deaths previously reported as probable cases and exclusion of duplicate cases. In addition, some confirmed and probable cases were recategorized to health zones where their infection most likely occurred, as opposed to the location of the ETC where they were admitted. As of 13 November, 341 EVD cases (303 confirmed and 38 probable), including 215 deaths (177 confirmed and 38 probable)1, have been reported in 11 health zones in North Kivu Province and three health zones in Ituri Province (Figure 1). The overall trends in weekly case incidence reflect the continuation of community transmission in several cities and villages in North Kivu (Figure 2). Given the expected delays in case detection and ongoing data reconciliation activities, trends, especially in the most recent weeks, must be interpreted cautiously. The risk of the outbreak spreading to other provinces in the Democratic Republic of the Congo, as well as to neighbouring countries, remains very high. Over the course of the past week, alerts have been reported from South Sudan and Uganda; EVD has been ruled out for all alerts to date. The vaccination of health and frontline workers at priority sites in Uganda began on 7 November, and preparations are ongoing for the vaccination of health and frontline workers in Rwanda and South Sudan. The MoH continues to strengthen response measures, with support from WHO and partners. Priorities include coordinating the response, surveillance, contact tracing, laboratory capacity, infection prevention and control (IPC), clinical management of patients, vaccination, risk communication and community engagement, psychosocial support, safe and dignified burials (SDB), cross-border surveillance and preparedness activities in neighbouring provinces and countries. To support the MoH, WHO is working intensively with a wide range of multisectoral and multidisciplinary regional and global partners and stakeholders for EVD response, research and urgent preparedness, including in neighbouring countries. Pierre Rollin, MD, an Ebola expert with the CDC, said first responders are making little progress in containing the Democratic Republic of Congo's Ebola outbreak, according to NPR. 1. Dr. Rollin, who visited the Congo in October, said typical outbreaks are usually contained within three to four months. However, the Congo's Ebola outbreak is now on its fourth month, with few signs of slowing down. "It's as if we're just starting [containment efforts] now when in fact we started three months ago," Dr. Rollin told NPR. "We're not making any progress." 2. Dr. Rollin said first responders are having trouble tracking Ebola patients and their contacts, who can set off a new train of disease transmission if they are not detected and treated. "I was looking at the last 30 days of cases and two-thirds of them were of unknown origin — so we can't trace them," he told NPR. 3. Further complicating response efforts is the ongoing violence in the outbreak zone, which could get worse during the country's national elections in December, according to Dr. Rollin. 4. Dr. Peter Salama, the World Health Organization's deputy director-general of emergency preparedness and response, on Nov. 13 said he expects the outbreak to continue until the middle of next year. 5. As of Nov. 14, the WHO has identified 344 confirmed and probable Ebola cases linked to the outbreak, along with 202 deaths. Since the beginning of the epidemic, the cumulative number of cases is 358, of which 311 are confirmed and 47 are probable. In total, there were 213 deaths (166 confirmed and 47 probable). 57 suspected cases under investigation. 6 new confirmed cases, including 4 in Beni, 1 in Katwa and 1 in Kalunguta. 3 new confirmed cases, including 2 in Beni and 1 in Katwa. On the evening of Friday, November 16, 2018, an armed group made an incursion into Boikene neighborhood, Rwenzori commune, in the city of Beni, with the intention of attacking one of the bases of MONUSCO. The peacekeepers reacted immediately, pushing the rebel group after several hours of clashes, a few meters from the Ebola Response Emergency Operations Center and hotels in which several teams from the response were lodged. This Saturday, November 17, 2018, all field activities were suspended, and the Emergency Operations Center remained closed. All the teams stayed in their respective hotels. Health Minister Oly Ilunga Kalenga deplores the violence that has once again wounded the people of Beni and is slowing the efforts of the response teams to end the Ebola outbreak. The epidemic remains dangerous, especially in Beni. As a result, national and international teams continue to work alongside the population to end the epidemic. Since the start of vaccination on August 8, 2018, 31,713 people have been vaccinated , including 15,901 in Beni, 4,544 in Mabalako, 3,292 in Katwa, 1,663 in Mandima, 1,615 in Butembo, 1,602 in Kalunguta, 732 in Masereka, 434 in Bunia, 355 in Tchomia, 330 in Vuhovi, 292 in Mutwanga, 241 in Kyondo, 240 in Komanda, 210 in Musienene, 178 in Oicha, and 34 in Alimbongo.